Denmark is one of the best immigration destinations for number of migrants across the world. People from various countries prefer Denmark Immigration in order to enhance career opportunities for better future. It is technically and economically developed country that welcomes overseas employees to work and reside in the country under the Denmark Green card scheme. It is an excellent opportunity given for abroad professionals who are seeking career options in Danish country where they are less number of Danish skilled workers to work and boost the country’s economy. Denmark Green card permits overseas individuals to work and settle in Denmark. The candidate should achieve minimum points and should meet the basic prerequisites in order to get the Denmark Green card. To work in Denmark it is necessary to have a residence permit and work permit which can be achieved under this green card. Danish Green card scheme allows overseas skilled migrants to reside in Denmark under a renewable 3 years permit. The country follows Denmark Green Card Points Calculator in order to check the ability of applicants whether they are enough capable to get the visa or not. Basically the Denmark immigration depends on the Points Calculator, where an applicant must score a minimum of 100 marks in order to become eligible applicant. The points are calculated by considering the various aspects such as education, age, adaptability, language skills, financial requirements, and work experience. The Denmark Immigration department is planning several programs to assist overseas experts and skilled workers to migrate to Denmark. The programs include Corporate Scheme, Denmark Green Card scheme, the Pay Limit Scheme and others for overseas students, employees, athletes and so on. Therefore, Denmark Green Card Points Calculator helps to ensure whether a particular applicant is eligible or not for immigration. 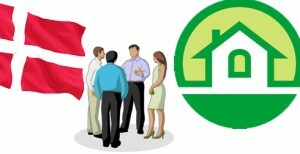 How to qualify for Denmark Green Card scheme?